Dr. Barnes is an internationally recognized expert on women’s reproductive mental health. A past president of Postpartum Support International, she currently sits on their President’s Advisory Board and is also a member of the Los Angeles County Perinatal Mental Health Task Force and the statewide Maternal Mental Health Collaborative. Her work has been published in a number of academic journals. She wrote the assessment and treatment guidelines for perinatal illness for the Perinatal Advisory Council of Los Angeles County. In addition to private practice, she is often retained by legal counsel on cases of infanticide, neonaticide and pregnancy denial. 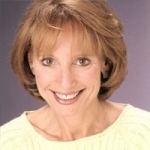 The 2009 recipient of a Lifetime Achievement Award presented by the Eli Lilly Foundation, Dr. Barnes is the co-author of The journey to parenthood: Myths, reality and what really matters (Radcliffe, 2007) and editor and contributing author to a reference text on Women’s reproductive mental health across the lifespan (Springer, 2014). Cultural ideology promotes the idea that pregnancy and childbirth are the happiest time in women’s lives; yet, there are more psychiatric admissions around the child-bearing years than at any other time in the female life cycle. Perinatal depression looks different in terms of its symptom presentation than other types of major depressive episodes and the psychological issues that determine treatment are unique to this phase of life, not only for the new mother, but for the entire family. This presentation focuses on symptom recognition, risk factors and treatment options looking at the impact of maternal depression on the developing mother-infant attachment.